Waypoint EDU is a innovative new iOS app that uses augmented reality to create a fun learning experience for students. Teachers are using this tool to bring their classroom outside and have students go on geocaches (scavenger hunts) to learn more about a subject. Best of all, a teacher can add questions to their geocache to create an authentic learning experience and gauge students understanding. I highly recommend checking out Waypoint EDU by clicking here!!! Math Classroom Challenge is a excellent (iOS) app for learning basic Math skills (i.e. additions, subtraction, etc.). 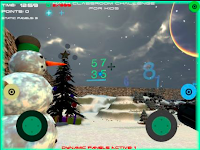 This is done in innovative 3D first person/shooter environment that has students trying to shoot the correct numbers to solve the equations. Best of all, a user can customize their own learning experience by selecting what type or problems to include in the game. Also, this is a great way to integrate Game Based Learning into the classroom. I highly recommend checking out Math Classroom Challenge by clicking here!!! 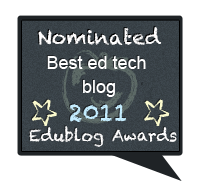 For a more detailed review check out Edshelf by clicking here. EDpuzzle is the amazing learning tool that educators everywhere are using to flip their classroom, assess student learning, differentiate instruction, grade, and much much more. This is done by adding questions to a video and modifying it to make it work for YOU. 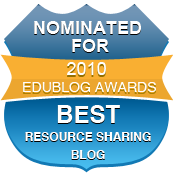 Best of all, are the wide range of lessons and resources that are available for students and educators. A user can search through subjects and grade levels to see how best EDpuzzle can work for them. Finally, EDpuzzle is available as a browser plugin and free mobile app for Android and iOS. Learning Mole is a nice site for finding educational videos in the subjects of: Math, English, and Crafts. 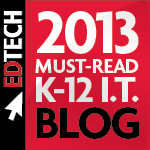 All videos are organized by age level and provide interactive lessons that students can do. 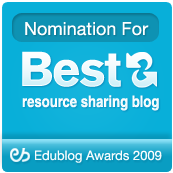 Also, there are lots of resources for educators and parents and new videos are added weekly. I highly recommend checking out Learning Mole by clicking here!!! Photos for Class is an excellent new site that is ideal for finding safe images for students. 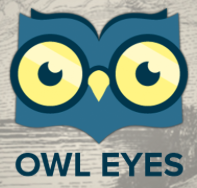 This search engine uses Flickr safe search as well as some built in filtering to find Creative Common licensed images. Best of all when a user clicks download the image gets cited automatically w/ the proper licensing terms. I highly recommend checking out Photos for Class by clicking here!!! For my Pinterest board on Educational Images click here. Jellies is a new iOS app for finding educational videos similar to YouTube Kids. 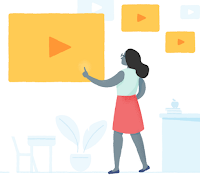 However, what makes Jellies an intriguing alternative to YouTube is that all videos are curated by people instead of a computer algorithm. What this means, is that there is a very scrutinive process that most be met for these videos to be available. 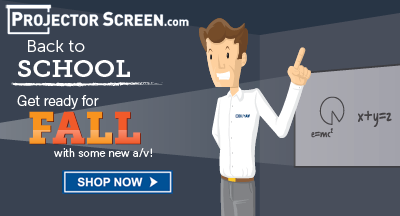 All videos, are age appropriate and do not have any "stars" or ads for commercial purposes. 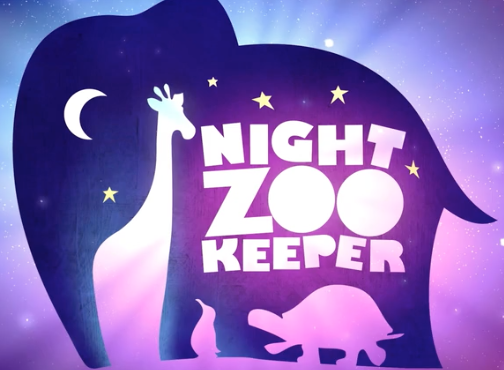 Best of all, is the Kids Mode where parents can curate and control what videos their kids can watch. I highly recommend checking out Jellies by clicking here!!! For a more detailed review check out Tech Crunch. 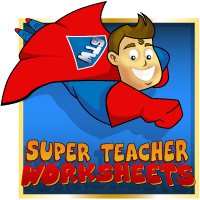 Super Teacher Worksheets is one of the best sites around for educators looking for printables, worksheets, puzzles, activities, and much much more. Also, all items are labeled if they are aligned to Common Core Standards and there are even generators/wizards for users to create their very own worksheets/puzzles/etc. Best of all, teachers can use STW for any subject and browse through 1000's of educational resources that can work for them. I highly recommend checking out Super Teacher Worksheets for all Back to Schools needs by clicking here!!! Actively Learn is a site I'm just finding out about that is an excellent resource for educators looking to increase comprehension and "depth" of any text. AL reminds me a lot of EDpuzzle but instead of "making a video your own" it is "making reading material your own". 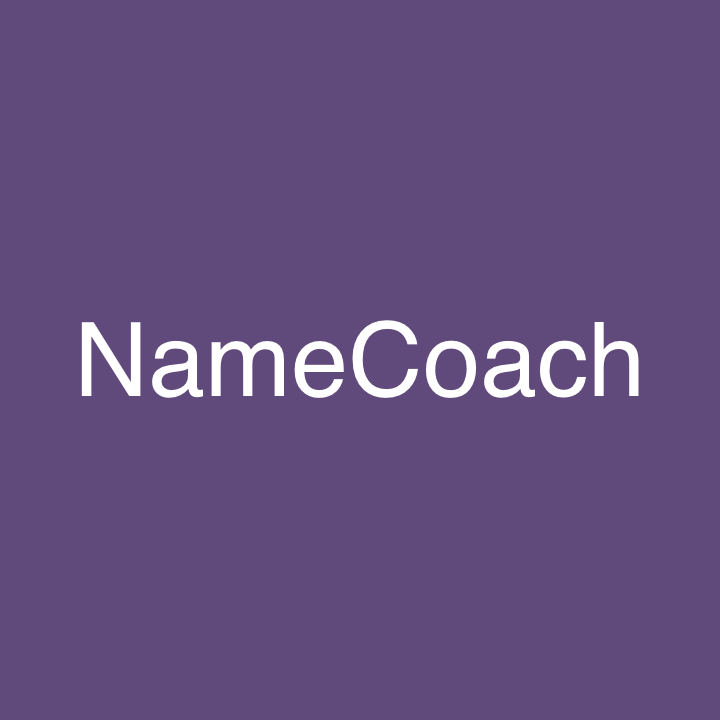 This can be done using any text and lets educators track student's learning and understanding of a passage through the use of asking questions, annotating, collaborating, and more all in real-time. This is a great resource for teachers and easily lets them gauge a student's understanding, differentiate instruction, or even "flip" a lesson. 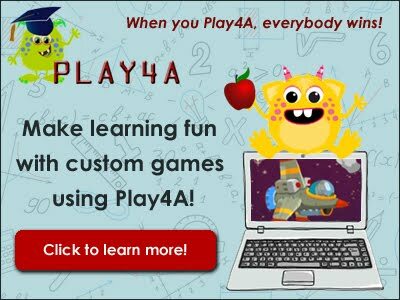 I highly recommend checking out Actively Learn by clicking here!!! Illustrated Guides. 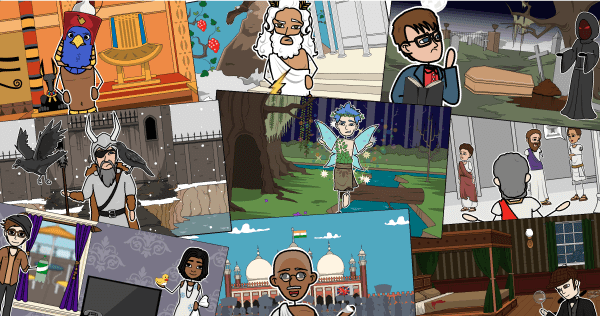 These one cell storyboards are great for teaching any number of subjects such as: Mythology, Literature, History, and more. I highly recommend checking out Storyboard That's Illustrated Guides by clicking here!!! 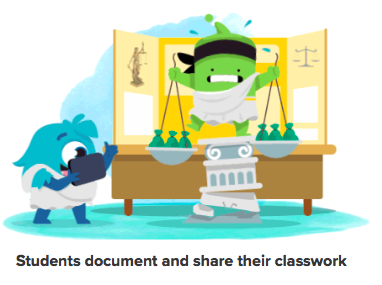 Emaptico is a new learning tool that connects teachers and classrooms around the world. Empatico reminds me of a cross between Skype and Wiziq and is a great way for educators to easily teach online classes. 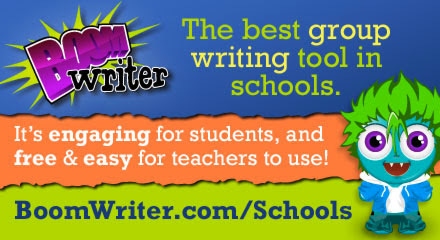 The way this works is a students selects their desired activities, availability, and then get selected w/ a teacher. 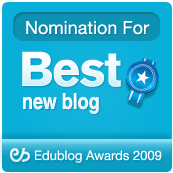 Best of all, Empatico has lots of free resources for teachers to use while interacting w/ their online. I highly recommend checking out Empatico by clicking here!!! I highly recommend checking out Codemoji by clicking here!!! MathTango is a wonderful new/free iOS app for addition and subtraction grades 1st-3rd. MathTango uses Gesame Based Learning through 20+ levels of solving puzzles and equations. 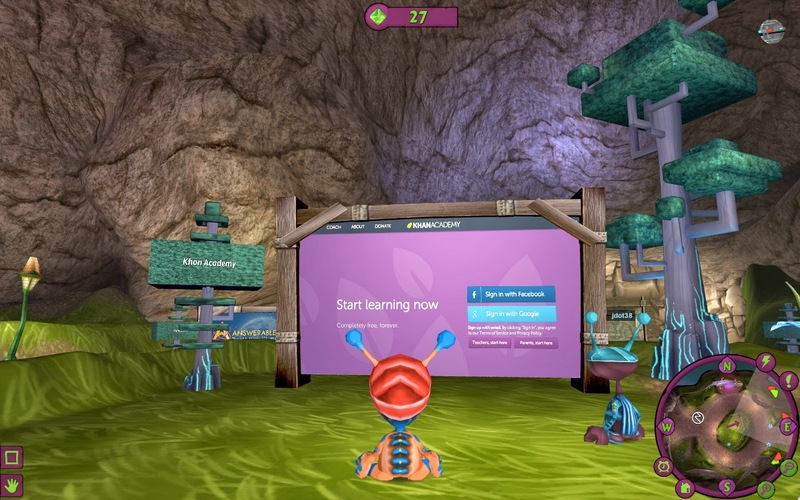 As a student progresses through the game they will unlock more monsters, levels, and features, while "building" their own unique island. MathTango tracks student data and makes it easy for parents and educators to reinforce basic Math skills. I highly recommend checking out MathTango by clicking here!! !